The simplicity of the non-catalytic stove makes it the most popular type of stove in North America by far. With most non-cats, the consumer only needs to worry about a single lever to regulate the amount of air in the firebox. But some consumers unwittingly buy a very unique kind of non-cat, a downdraft stove, and often regret it. Today there are only a handful of downdraft stoves on the market, Most have been pushed aside by non-cat stoves with air tubes that reburn smoke as it exits the firebox. The downdraft stove works with a second lever that engages a by-pass damper which forces the smoke down into a chamber where heat can reburn it before it goes back up the chimney. Downdraft stoves tend to be finicky, need to be very hot to work properly and are more prone to leaking smoke into the house. Most consumers should not consider them unless they know what they are getting into and are prepared to be much more engaged with their stove. The same can be said about catalytic stoves. Consumers should understand that they need to know how to use the second lever that engages the by-pass damper and occasionally check the catalyst, and replace it when it needs replacing. Stove change out programs, that switch out old stoves with new, EPA certified models may want to exclude downdraft stoves from eligible replacements as they may be the hardest class of stove to run consistently without visible smoke. 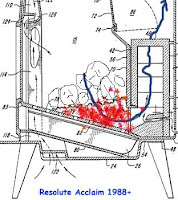 The downdraft stove became popular in the 1980s when Vermont Castings used it to extract more heat from a stove and to help pass the emission testing required by the state of Oregon, and later by the EPA. 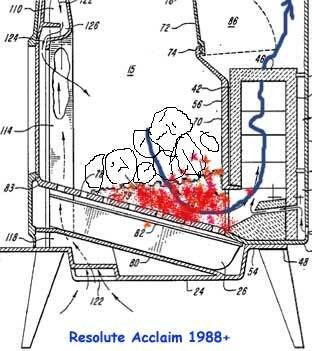 The by-pass damper helped slow down the fire, create turbulence, and extract more heat from the hot gases before they went up the stack. 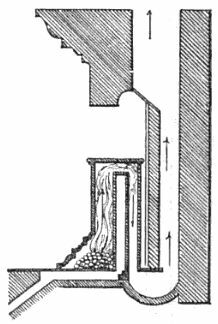 The Resolute Acclaim, one of the most popular wood stoves of the last century, was a downdraft stove. It clocked in at 3.4 grams per hour and continued selling through the 2000s, but has since been taken out of production. Today, there are a handful of downdraft stoves on the market. The Harman TL300 is a downdrafter and Vermont Castings still has one or two. The Lopi Leyden and the Avalon Arbor (same stove) went off the market in 2012. (We had written that they were still on the market, but a reader corrected us.) There may be better designs of downdraft stoves that are easier to operate in other countries. made for a smoky house. Downdraft stoves have existed for centuries in various designs. The original stove invented by Ben Franklin also had a downdraft incorporated into the design, and it is one of the reasons that the stove was so finicky and disfavored by the majority of consumers. 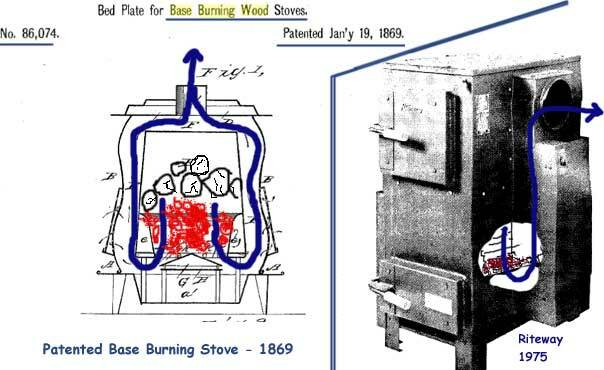 Franklin himself admitted that the stove was difficult to operate and took lots of attention and wasn’t something that “could be left to the servants.” Later iterations of the Franklin stove added a door and most got rid of the downdraft.